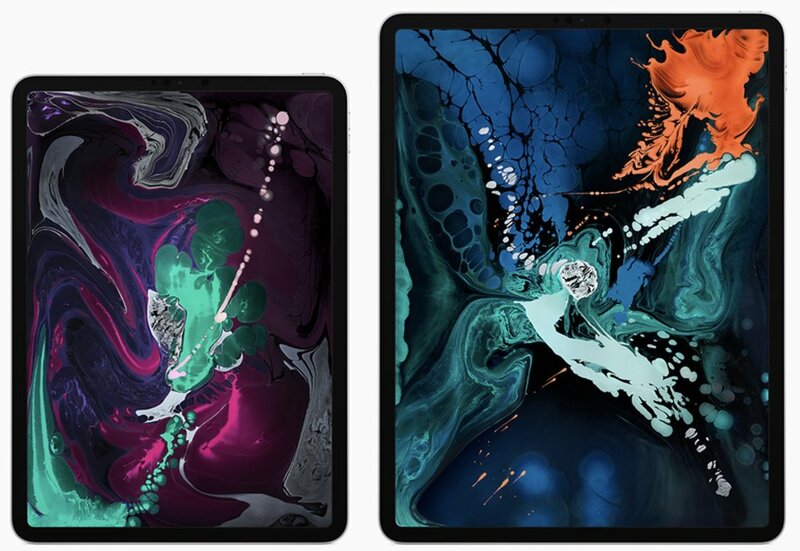 During Apples October event, the company announced a new iPad Pro with all-screen design and next-generation performance. 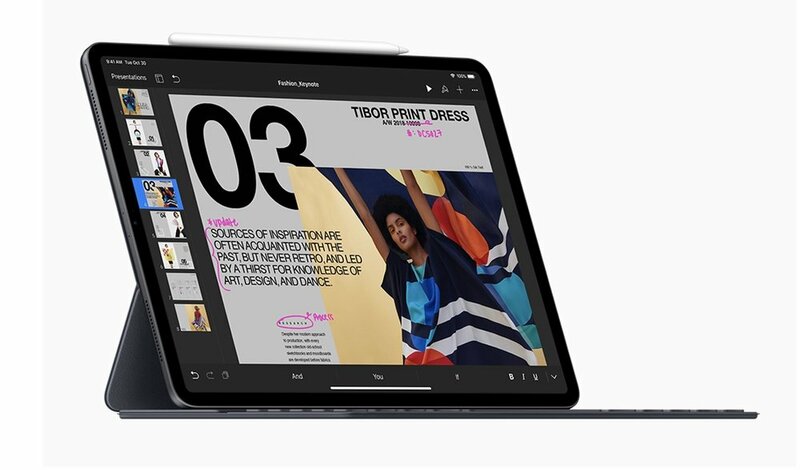 The all-new design pushes 11-inch and 12.9-inch Liquid Retina displays to the edges of iPad Pro and integrates Face ID to securely unlock the iPad with a glance. The new Smart Keyboard Folio features a streamlined design that’s adjustable for added versatility. The new iPad Pro, Apple Pencil and Smart Keyboard Folio are available to order starting today and in stores starting Wednesday, November 7. The new iPad Pro sports an edge-to-edge Liquid Retina display with rounded corners that follow the curves of the tablet’s unibody enclosure. With precision-milled glass, advanced pixel masking, sub-pixel antialiasing and a new backlight design, the new Liquid Retina display in iPad Pro is Apple’s brightest and most color accurate iPad display, featuring wide color support, True Tone, and anti-reflective coating for a natural, accurate viewing experience indoors and out, Schiller says. ProMotion technology automatically adjusts the display refresh rate up to 120Hz for smooth scrolling and responsiveness. The new 11-inch iPad Pro packs a bigger display with more pixels in the same footprint as the 10.5-inch model, yet still weighs just one pound. The new 12.9-inch iPad Pro places the largest display of any iPad into a more portable package — a 25% reduction in volume. Both models are just 5.9 mm thin, the thinnest iPad design ever. The new iPad Pro packs the A12X Bionic, which was especially made for the tablet. The eight-core A12X Bionic features four performance cores and four efficiency cores for up to 35 percent faster single-core performance and a new performance controller for simultaneous use of all eight cores for an up to 90% boost during multi-threaded tasks. A seven-core, Apple-designed GPU purportedly delivers up to twice the graphics performance. Despite all these enhancements, Apple says the ew tablets have a10-hour battery life. Apple’s next-generation Neural Engine is built for advanced machine learning in everything from photography to AR, completing up to five trillion operations per second. The Neural Engine is designed to deliver improved performance for Core ML tasks, empowering developers to build apps and new iPad workflows that utilize this highly efficient machine learning engine. Face ID has come to the iPad for the first time. Designed to work while holding iPad Pro in any position or while seated using the new Smart Keyboard Folio, Face ID takes advantage of the TrueDepth camera system to accurately map and recognize the face to securely unlock iPad Pro, enable Apple Pay in apps and online, and allow users to gain access to secure apps. The TrueDepth Camera on iPad Pro also enables Animoji and Memoji. The new iPad Pros boast advanced cameras and sensors and improved four-speaker audio. The second-generation Apple Pencil magnetically attaches to iPad Pro for pairing and wireless charging. Which means no one danger of breaking the device with it protruding awkwardly from a Lightning port. With it, users can select the right tool or brush with a simple double tap on Apple Pencil within apps like Notes. The new Smart Keyboard Folio protects both the front and back of iPad Pro in a design encompassing a full-size keyboard that never needs to be charged or paired. It’s adjustable for lap or desk use. A new USB-C connector replaces the Lightning connect and offers power for charging, supports USB 3.1 Gen 2 for high-bandwidth data transfers up to twice the speed to and from cameras and musical instruments, and drives external displays up to 5K. With USB-C, iPad Pro can even be used to charge an iPhone. The new 11-inch and 12.9-inch iPad Pro will be available in silver and space gray finishes in 64GB, 256GB and 512GB configurations as well as a new 1TB option. The 11-inch iPad Pro starts at $799 for the Wi-Fi model and $949 for the Wi-Fi + Cellular model and the 12.9-inch iPad Pro starts at $999 for the Wi-Fi model and $1,149 for the Wi-Fi + Cellular model from apple.com and Apple Store locations, and is also available through Apple Authorized Resellers and select carriers.